Our Superior Rooms combine comfort with contemporary style, allowing you to unwind in our sleek surroundings. 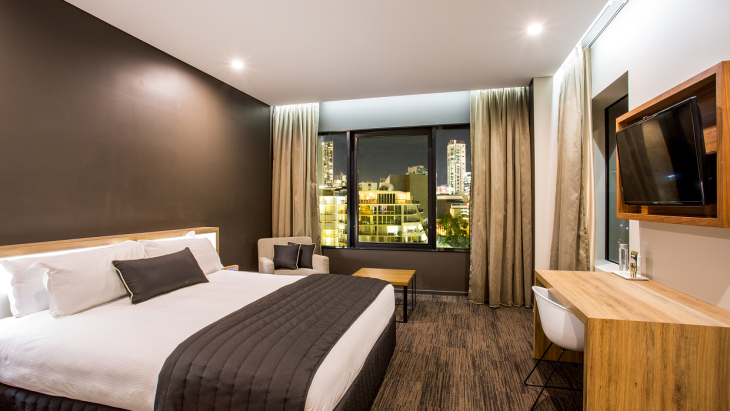 Enjoy one of our brand new, architecturally designed Superior rooms located on the first and second floors of the Hotel or alternatively experience views of Roma St Parklands or the City from one of our High Floor Superior Rooms. 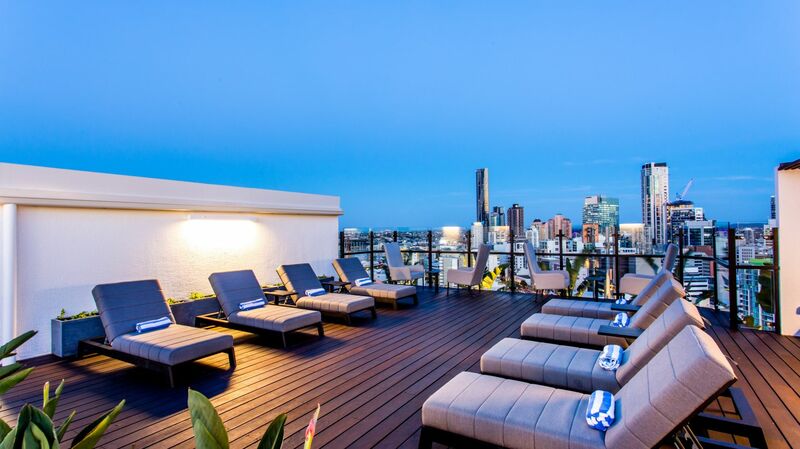 These southbank accommodations in Brisbane are a can't miss. Complete your stay with complimentary Voss water and Morish nuts, Bluetooth digital radio, espresso machine, designer bathroom amenities and fluffy bathrobes and slippers. Complimentary Wi-Fi is offered in all Superior Rooms. (Floor, balcony and view preference on request).